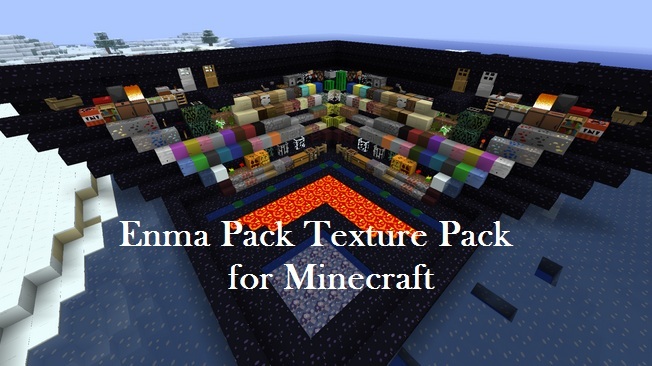 Enma Pack Texture Pack [256x] for Minecraft is an extraordinary texture pack which is just released and grabbed the attention of the fans with in real quick time. ENMA Texture pack produces and enhances your Minecraft texture quality and it will make it into totally different world. So check out more below. No doubt that this texture pack is new and it will face some errors and bugs in the initial stage but it can only be perfect with the help of the fans itself. So contribute your part with reporting the bugs and glitches you have faced in this texture pack and keep coming here to check the latest updates of your favorite game.